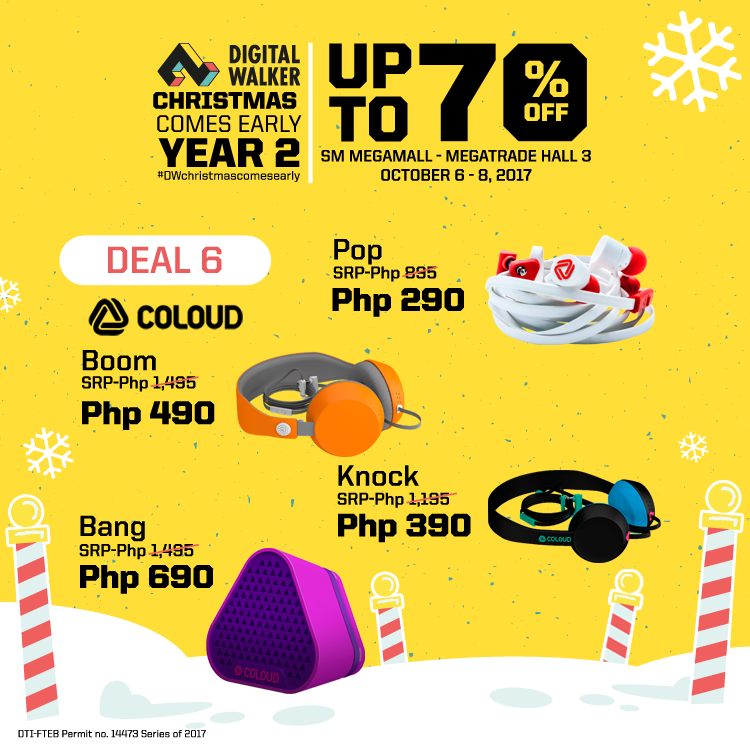 Now on its second year, the much-anticipated sale happening at SM Megamall Megatrade Hall 3 from October 6-8, 2017 brings holiday cheer by providing awesome steals for its customers ahead of the yuletide season – with discounts up to 70% off! 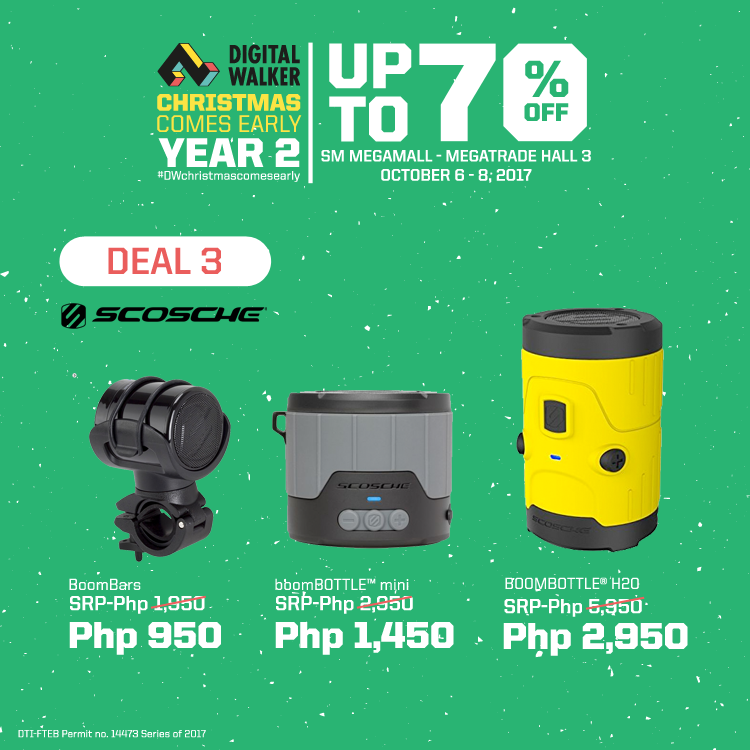 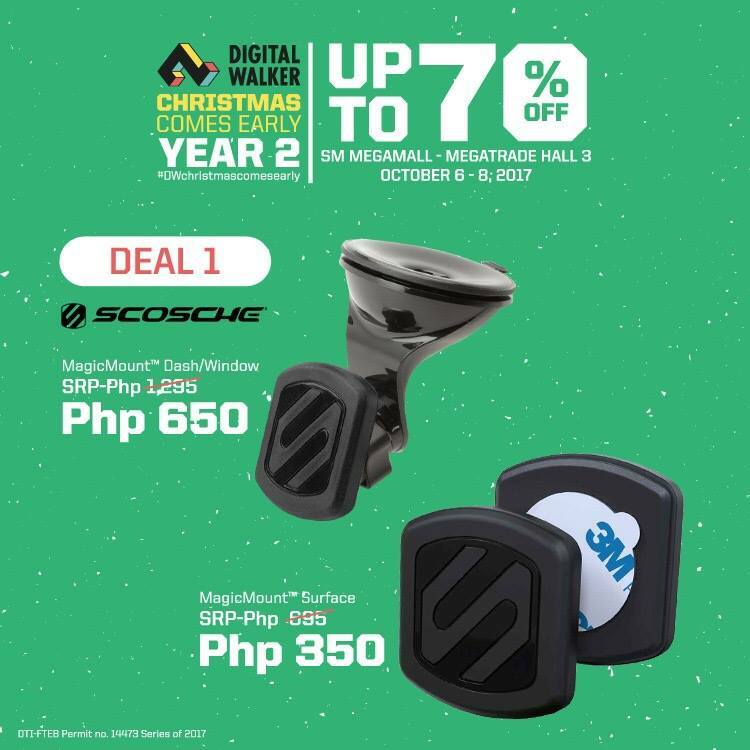 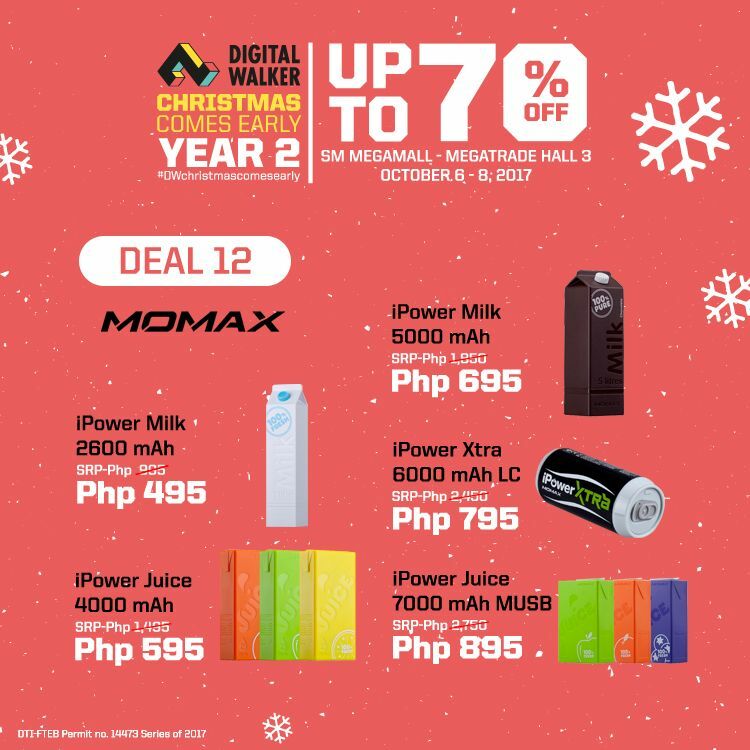 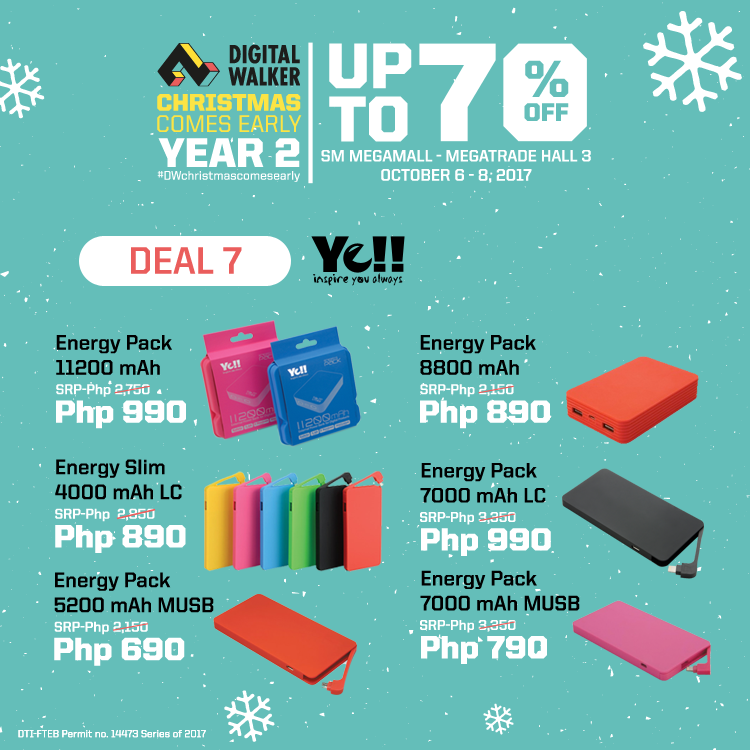 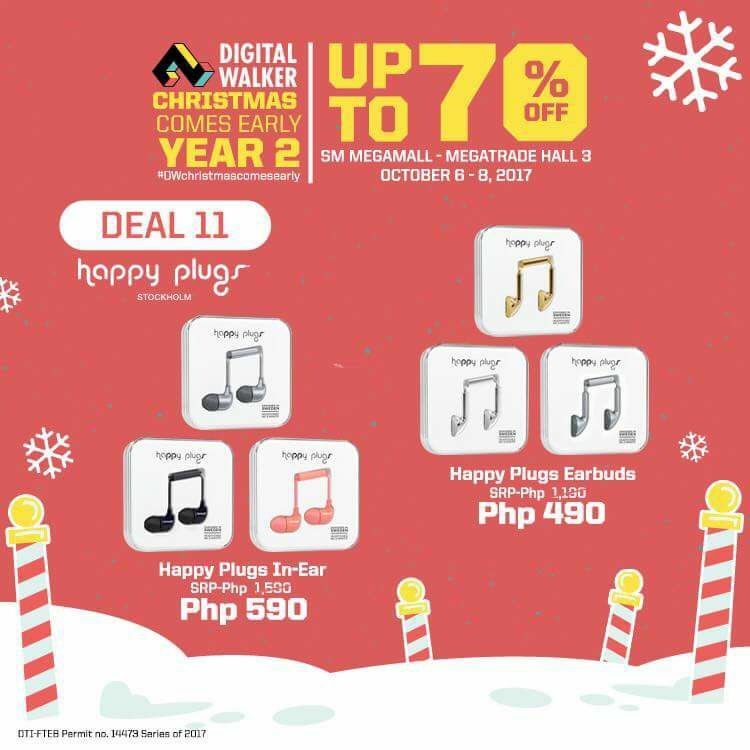 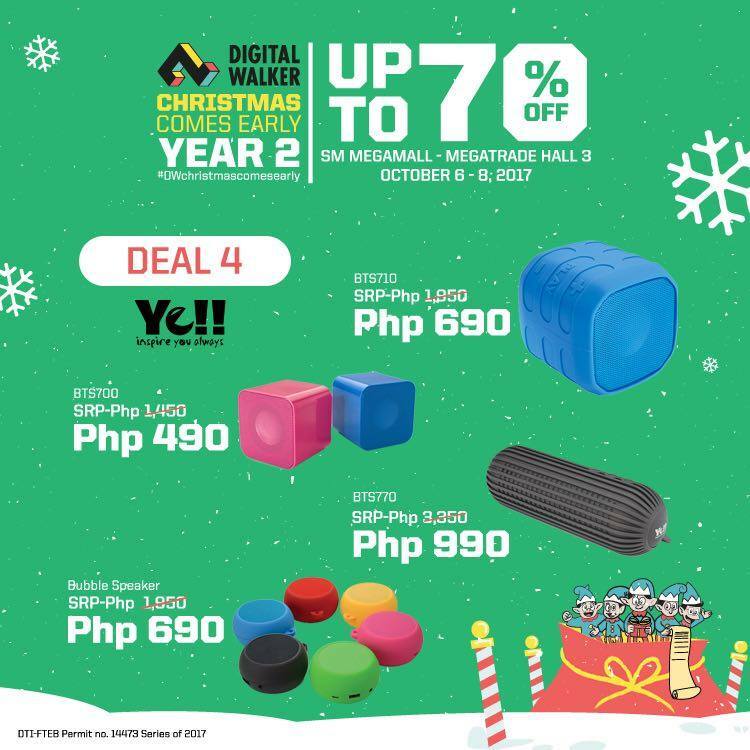 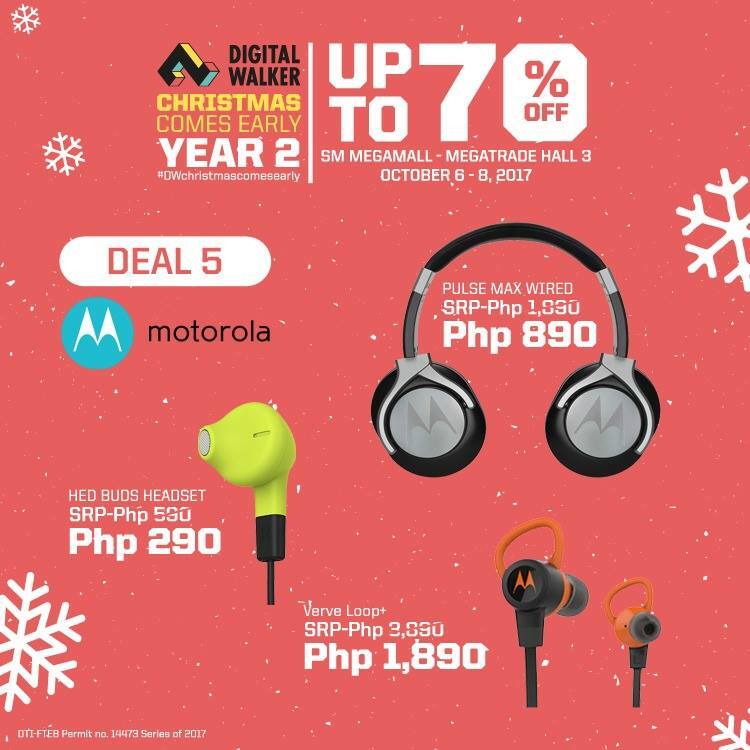 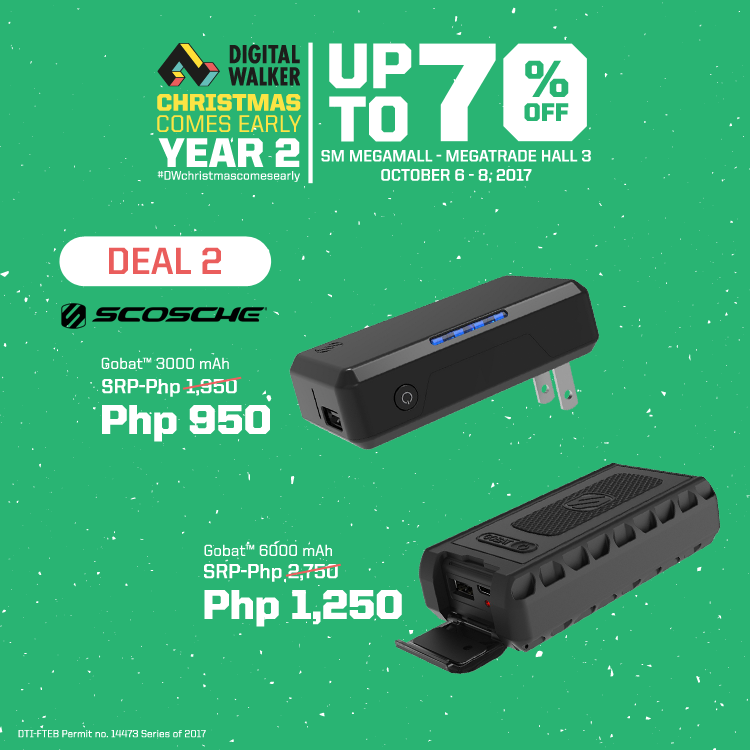 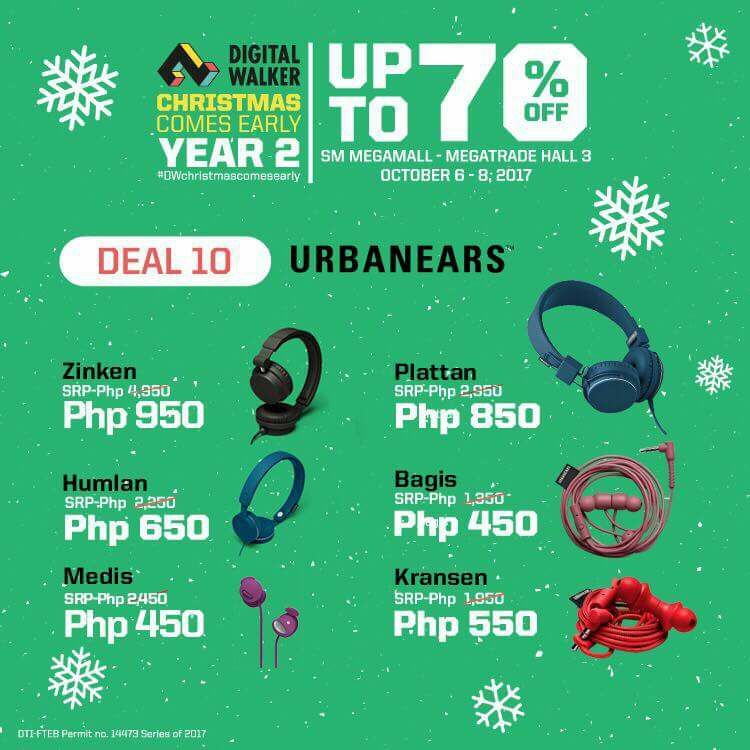 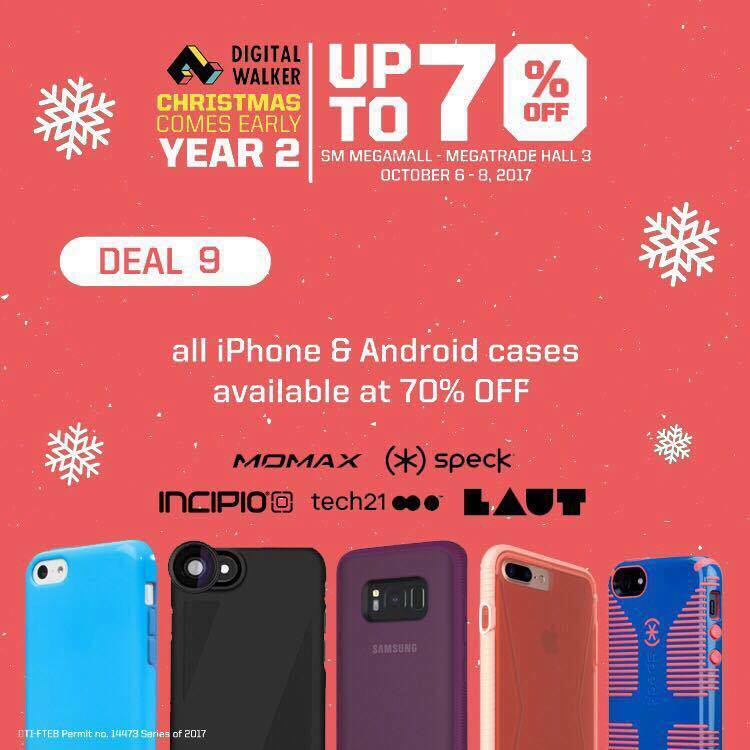 The Digital Walker Christmas Comes Early Sale has everything in store for the techie at heart — from car accessories and headphones, to speakers and power banks. 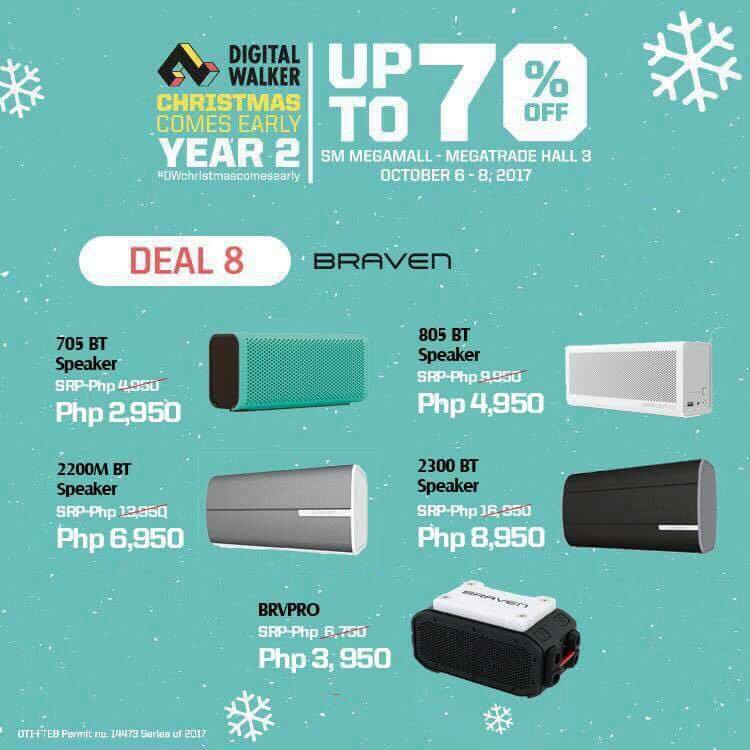 Be sure to be early because I am pretty sure that it will be a very long lines on the entrance of the SM Megamall Megatrade Hall 3, Don’t forget to take note of what you are getting especially for those who are making their Christmas list now.